“I’ll bet you’ll see your true love by midnight,” said our maid Mary, and she looked so mysterious and meaningful that we took her at her word and arrived at the kitchen door as late as we dared. It was very quiet and I was all for bursting in at the door but Kitty was already nervous on account of being told to come without candle or lantern. At her timid knock, the door was suddenly thrown back and the vision that greeted us was so terrifying that Kitty let out the most bloodcurdling scream you have ever heard. When we realised it was Mary with a hollowed turnip candle held under her chin we laughed so hard, I thought I might be ill. The kitchen was very dark but for the glow of turnip candles on every surface illuminating several strings of apples suspended from the ceiling. A large bowl of water with more apples floating atop was set before a looking glass, which strangely resembled the one from my bedchamber. “We’ll have snap apple and bobbing for apples later but first there is a tradition that all young ladies must perform. You must stand before the glass, quite alone in the dark, and a vision of the man you are to marry will appear within, before the bewitching hour,” said Mary. I must admit I felt a slight apprehension when they’d extinguished every candle before leaving me, and the hairs on my arms and legs prickled up at the unfamiliar sounds in the cold kitchen. There was a scuffle in the corner and the thought of a mouse nearly had me running for the door. I stood before the glass and soon became quite engrossed with my own reflection which it has to be said looked most becoming by the soft bars of moonlight creeping through the window. It was then that I thought I heard breathing. I looked behind me but there was no one there. I turned back to the glass and caught sight of a glimmering light in the background, so I spun round again only to find it had disappeared. I wheeled back to the glass once more determined to catch sight of whatever apparition was about to materialize when I got the fright of my life. A phantom in white, and not at all my impression of a handsome beau was leering at me in the dark, with hideous, grinning teeth. I screamed and fainted into the arms of the horrible ghoul! The door burst open and there, holding onto their sides, falling upon themselves with laughter, were Kitty and Mary. My assailant had me blindfolded before I could protest further and in a soft voice not in the least unbecoming, begged for a kiss from his future wife. What else could a girl do in the dark, I ask you, other than oblige? In any case, I had guessed from his delicious smell that it was Mr Edwards, who it is well known has something of a passion for me and, indeed, is quite the best-looking young man of my acquaintance! Of course, I protested loudly through the whole sordid exhibition and it was only when we went to bed that I admitted to Kitty, that although I do not think I found my husband on All Hallows Eve, I certainly enjoyed my adventure! As an after thought, I must just add that, whatever you may have read about Jane Odiwe’s influence over me and the development of my character in her ‘novel’, Lydia Bennet’s Story, she had nothing whatsoever to do with it – I am entirely my own wonderful person – perfection can never be imitated, improved or further developed! ***Want to win a copy of Lydia Bennet’s Story by Jane Odiwe? I have one copy for one U.S./Canada winner (sorry no P.O. boxes) and one copy for an international winner. 1. Leave a comment on this post, telling me what your favorite Jane Austen novel is or what novel you would like to read (if heaven forbid, you haven’t read Jane Austen yet!) for one entry. 2. Leave a comment on my Lydia Bennet’s Story review post, here, for a second entry. Deadline is November 7 at Midnight EST. Welcome to Hachette Group’s Early Birds Blog Tour for Life After Genius by M. Ann Jacoby, a book that examines one young genius’ struggle to find himself and his place in his own family and society; Thanks to Miriam Parker at Hachette for sending the book along for the tour. Theodore Mead Fegley’s father runs a furniture store and funeral home with his brother Martin, while his mother’s main goal in life is to push her son to achieve as much as possible and not squander his intelligence. The pressure mounts for Mead as he speeds through his elementary and high school years, reaching the University of Chicago at age 15. Mead is an awkward “geek” who tries to keep his head down and make it through what he believes is the roughest period of his life, high school. Despite attempts by his cousin, Percy, to pry Mead out of his shell, Mead stuffs his nose in his studies to graduate high school and head off to college away from his overbearing mother and the small town that despises and ridicules him. The narrative easily shifts from the present to the past, and the chapter breaks make it easier to keep the timeline in perspective with details about what period in Mead’s life is witnessed and what location he is in. Mead is a young teen thrust into academic life with peers who are much older and experienced. Even though he looks forward to college life and mingling with his peers, he finds the experience to be as difficult and confusing as his high school years. Mead’s life takes a stark turn when he meets Herman Weinstein, a fellow mathematics student at the university. Mead meets Dr. Krustrup, who agrees to mentor him and Weinstein at least until Weinstein’s family fortune and connections convince him otherwise. Mead is easily pushed aside when Dr. Krustrup becomes chair of the mathematics department. While he is initially angry, he learns that his new mentor, Dr. Alexander, is much more inspiring. Under the tutelage of Dr. Alexander, Mead throws himself into the Riemann Hypothesis, and he hopes to either prove or disprove the hypothesis, which has been debated for more than 100 years. Jacoby carefully intermingles events from Mead’s past into his present as a way to show how Mead’s character has developed and explain the reasons behind some of Mead’s reactions and behaviors at the university. As Mead grows closer to a solution, Herman insinuates himself further into Mead’s life. Tensions between the two friends–and I use this term loosely–continue to intensify, until a family tragedy and university pressure mount, forcing Mead to run home to rural Illinois several days before graduation, his major mathematical presentation, and his valedictorian speech. While math problems make me cringe, this story brought me back to high school with the discussions of matrices–math I actually understood at one point–but Jacoby does a great job of including this information without burdening or boring the reader. As Mead’s life unfolds and the mystery grows more intense, the pages flow quickly, making the reader more anxious to learn the reason why Mead flees his sanctuary at the university when he is on the verge of success. Although this novel is dubbed an academic thriller that portion of the story fell flat. The descriptions, perceptions, and events in Mead’s life point the narrative more in the direction of a coming of age story. Jacoby’s academic thriller plotline did not have the foundation or twists and turns necessary to a successful thriller narrative. However, at the conclusion of the narrative, the reader will be pleased to see Mead find himself, what’s important to him, and how to cope with his reality. M. Ann Jacoby has been an art director at Penguin USA for more than two decades. Life After Genius is her debut novel. Without further ado, here is M. Ann Jacoby about her writing process. Do you have a set writing routine? Do you get up early and start writing or do you write when the mood hits? I do have a routine. After getting my errands out of the way Saturday morning, I sit down around noon and write for about six hours. The first hour or two involves a lot of staring out the window and getting back into the world of my novel. By Sunday I’m into it. I get started around 8 or 9am and can go all day. I have to remind myself to stop and eat. Then, reluctantly, I have to put it all away and go back to my Mon-Fri job. I commute to work on the train and usually wait till midweek to read and edit what I wrote over the weekend. I don’t write during the week. I need large blocks of time without interruption to get lost in the world of my characters. I usually get 12-15 pages written over a weekend. It’s a long, slow process but I find the breaks in between give me a chance to step back from my work and rethink before plunging in again. Was the research and writing process for Life After Genius different from your normal writing process? Research takes time away from writing. And I find that I write too much of my research into the story at first. I want to put all that new information to good use! But eventually I edit most of it back out so that the research feels more like a natural backdrop. Do you have any advice for writers just starting out? It’s very hard to sort out criticism in the beginning. What to listen to, what not to. For me, there was a lot of trial and error. A lot of crying. Try not to let the negative remarks destroy you. Look at them as an opportunity to learn and grow. What are your favorite rewards for reaching your writing goals and why? To create something that speaks to another person is a reward in itself. Immeasureable. Plus, it means I can go back and create more characters and more imaginary worlds. To get to do what I most love and get paid for it is like winning the lottery. Are you working on any other projects, and if so would you care to tantalize my readers with a few hints? The novel I’m working on now is loosely based on my mother’s parents who were bookies in West Palm Beach, Florida. The main character is Libby Freybaker who shared the pants in the family with her husband, my grandfather. She’s funny and smart and unconventional. It opens with them being handcuffed and arrested, then flashes back to tell the story of what led up to that point. 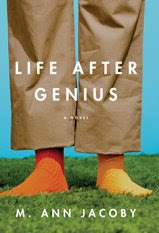 ***Want to win a copy of Life After Genius by M. Ann Jacoby from Savvy Verse & Wit and Hachette Group? I will pass along my copy to one International winner, please let me know in the comments if you are international! Hatchette Group will pass along a copy to a winner with a U.S. or Canada address. ***Make sure you leave me a way to contact you either an email address or through your blog. Those not leaving emails or blog links, will not be entered. Deadline is November 5, 2008. 1. Leave a comment on this post for one entry telling me what you find most interesting about the book or Jacoby’s writing process. 2. Post this contest on your blog or sidebar and return here to leave me a link to where you posted it for a second entry. 3. For those of you that do not have blogs, email five friends and cc savvyverseandwit AT gmail DOT com for your second entry. Check out the other stops on the Life After Genius tour! A copy of The Safety of Secrets by Delaune Michel! Deadline is Tonight at Midnight EST. Go here, follow the rules, and enter. 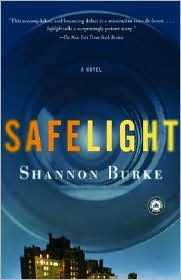 I want to welcome Shannon Burke, author of Black Flies and Safelight, to Savvy Verse & Wit today. In case you missed my glowing review of Black Flies, check it out! Anna at Diary of an Eccentric also reviewed Black Flies, here, and interviewed Shannon Burke, here. Stay tuned for your chance to win a copy of Black Flies. Welcome, Shannon and thank you for taking time out of your busy schedule to speak with me and my readers. 1. How long did it take you to write Black Flies? Black Flies took me an absurd amount of time for such a short book. I think it was over ten years from the first sentence to the final copy edit, though for a lot of that time it was lying dormant. When I first started working as a paramedic I came home every night and wrote about the things I heard and about the things that happened to me. Slowly, these impressions formed themselves into scenes and characters and events. That is, they turned into a novel. I had a draft by the end of my first year on the ambulance. But it was hardly the finished copy. It was unfocused, jagged, and angry. It had passion and energy, but overall, I didn’t know what it meant. I ended up trying to rewrite it three times, and finally, I put it away and started working on an ambulance love story that wound up being Safelight, which became my first published novel. So, after Safelight came out, I was working on another novel called Stragglers, but my mother and my older brother kept saying, “What about that book Black Flies.” “It doesn’t work,” I said. “No, we like it,” they said. They kept bugging me about it. So finally I went out to the shed where the book had been sitting for four or five years. I didn’t even have a computer copy of it. The hard copy in the shed had mushrooms growing out of it. I brushed the mushrooms off and started reading. The first thing that struck me was how bad a writer I’d been. Also, I thought two things right away: one, that I’d made the book worse every time I’d edited it, adding wordy, florid revisions that edited the rawness out of it, and secondly, I felt like I’d been flailing around, trying to say something, but had never really gotten around to saying it. After five years as a medic, and five more years of writing, I had a lot more perspective and experience and I thought I knew exactly how to do it. So, I went back to the book. I stripped the style down to give it that initial blunt, raw feeling that I’d always liked about it, but kept some of the philosophical parts as the chief sections. Basically, it was a total rewrite, but with some good material to work with, and with the basic story staying the same, though with many small changes. I finished that draft in about eight months, and with the normal editing and copy editing afterwards, that ended up being the final version of Black Flies. So, from the first attempt at a draft to the final version might have been ten or eleven years, though for probably six of those years I didn’t look at it at all. 2. What character in Black Flies do you most identify with and why? Well, I guess I must identify with Ollie most, but there were moments where I identified with all the characters, including LaFontaine. I mean, I think one of the points of the book is that anyone is capable of really bad behavior given the proper circumstance, and my guess is that anyone who’s been in the circumstances I’ve been in can look at all the characters and see parts of themselves in those characters, while also recognizing the characters as “types” that you find in an EMS station. But, like I said, Ollie’s character is definitely the closest to my own. 3. What was the hardest section in Black Flies to write or what was the hardest part about writing Black Flies? The part before and after Rutkovsky’s death was the hardest part, and also the very beginning. I had trouble with the beginning because it was hard to know what to tell and what not to and what events would represent the whole. The pre- and post-Rutkovsky death sections were really hard to write because I kept making them too long. I wanted to dramatize the emotion and make it serious and the way I saw to make it serious was to make it long. The problem was that that section was not particularly dramatic, and it took me a while to realize it, and I only did with the help of friends and family. Basically, at a certain point in a book’s progression I hand the book to anyone who’ll read it and let everyone have a say. One of the questions I always ask is, “What is the worst part and what is the best?” My sister and my friends and my parents all pointed to that section after Rutkovsky’s death as the dullest and the hardest to read. So I rewrote and reworked it about fifty times. Even in the very last edit I was still reordering it. I think it’s a little rough there still, but it’s much better than it would have been. Also, it occurs to me that when you ask what was the hardest part to write you might really be asking if it was hard emotionally to write parts of the book. I have to say it wasn’t hard at all in that way. If anything, it was cathartic. In general, emotion makes it easier for me to write because I have some really strong feelings inside to compare to the writing and to judge what is truthful and what is not and to drive me forward. So, at least for me, I’ve always found the most traumatic things are the easiest to write about. 4. Are you still a paramedic, and if not, why did you decide to leave that career to become a writer? I still have my license, but I haven’t worked since the very beginning of 2001. In January of 2001 I got hired to work on a movie script and since then I’ve more or less had regular movie work that has kept me from having to work a real job. At the time I was really glad to quite being a medic. For about twelve years I’d been spending forty hours a week writing, and then forty or fifty hours a week at a job. I was always busy, always in a rush, never had time to do anything. So, when I had a chance to cut my frenzied schedule in half I was really relieved. Afterwards, though, I missed being a medic, and I still think of going back into medicine at some point. I’m going to follow the writing as far and as long as I can, but you never know what is going to happen in the future, and I could see going back and working as a medic. I definitely miss the contact with patients, and the feeling that what you’re doing serves an absolute, immediate good. 5. Often writing experts and authors suggest to amateur writers that they write what they know, and it seems in your case this was true. Do you plan to branch out into other genres/topics? For five or six years before I wrote about the EMS stuff I was writing ordinary literary fiction. The stuff I wrote was terrible: timid, dull, and didactic. But over that time, if nothing else, I was definitely becoming a better stylist and getting comfortable with my own abilities. I think T.S. Eliot said that he sat down to write everyday and threw out eighty percent of what he wrote, but he still always sat down to do it because when inspiration hit, he was ready. I’d like to think that those years of struggle were some sort of preparation rather than a complete waste. Anyway, the EMS subject really interested me, and I’m really glad I had that experience and I wrote those EMS books, but my heart is in straight literary fiction, and there is a slight feeling of compromise when I think of Safelight and Black Flies, like I leaned on this naturally dramatic subject more than I want to admit to myself, and that to really prove myself as a writer I need to be able to write outside that arena and see what I can do. And I’ve done it. Or at least I’ve tried to. I have three other novels in various states of disrepair. They will be coming to market eventually and I hope they don’t disappoint. 6. Do you reward yourself when you reach a particular writing goal? If so, what are some of your favorite rewards? Not really. I’m very boring this way. I may have gone out to dinner a few times and maybe gotten some drinks or something like that, but I’m always so cautious of reversals, and also, I’m always so aware of the next step, that there never seems to be a definitive endpoint. I mean, you finish a draft of a novel, but it’s just a draft, and then you give it to friends and they read it and there’s always suggestions, so you write again and send it to your agent. And then you write again and it goes to editors and you sell it but there’s still the rewrites. And then the copy editing. And then you have a final version and it’s a book but you’re waiting for reviews, and there can always be an unpleasant review, and so it all slides by and there never seems to be a definitive point to celebrate. That is not to say that at times I haven’t felt accomplishment inside. I guess the best moments have been a feeling that someone else, a reviewer or reader, has been affected and swept up in the exact way I wanted them to be. But the question was about special rewards I’ve given myself. No. Not really. I probably should. 7. Could you share your publishing experience with my readers, such as did you get an agent before seeking a publisher, etc.? And how did that process unfold for you? Yeah, I did get an agent, and it seems to me that having an agent is essential, as, for better or for worse, the literary people in New York all know each other, and the agents get to know the tastes of the various editors in a way you could never do unless you lived in that world. The agent funnels the book to the editor who would most likely want to read it, which is hugely important. Having said that, getting an agent isn’t even close to the first step, and at least for me, it came after years of solitary struggle. I started writing seriously in the fall of 1989. I was really diligent. I didn’t know anything. I hadn’t taken writing classes in college or anything like that. I read all the time, but I had no idea how to do it. So, I just started writing. And for about three or four years I wandered around the country, worked menial jobs, lived in the worst places you can imagine, and wrote stories. Maybe I wrote fifty of them. They were terrible. No one wanted to read them. The last few, maybe, were a little better, but then I switched over and started to write novels before I really got the hang of the stories. It was an odd decision, but probably fortuitous, as I think most people are, at heart, either short story writers or novelists, and the chances of a novelist having an audience are perhaps slightly greater than that of a short story writer. Anyway, for some reason I thought I was a novelist, so I started writing novels. I wrote three of them in the early nineties. The first wasn’t terrible for a first novel. The second was not as good. The third was so awful I didn’t even type it up. At this point it was around 1995. I’d been writing everyday for six years with absolutely nothing to show for it except hundreds of worthless pages. This was around the time I started to work as a medic and I started writing about my experiences on the ambulance. My fourth novel was that early version of Black Flies that I mentioned before and the fifth was Safelight, which I finished a draft of in 1998. I decided to concentrate on Safelight which I had to rewrite four times. The story stayed the same. But the way I told it, and the style, became more and more spare with each draft, which was probably appropriate for that story. Anyway, I think I finished that last draft in the spring of 2002, and I finally thought I’d been at least somewhat successful in entertaining, and that the novel said what I wanted it to say. I got an agent that summer and the book was sent out in the fall. I think it went out to about twenty publishing houses. Three editors showed real interest. Two were young editors and were both shot down by the marketing departments, who said (correctly) that the book wouldn’t sell. 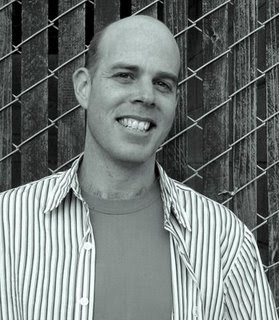 The third editor was Dan Menaker, the head of Harper Collins. He made an offer. Then he also got into it with the head of marketing and after a battle was very reluctantly forced to withdraw his offer. I thought the hopes for the book were dead. But then a few months later Dan became editor in chief of Random House and one of the first things he did was renew the offer and buy my book. So, if Dan hadn’t gotten the job at Random House shortly after that brawl with his marketing department, who knows, Safelight might never have been published. It was lucky. It was a break for me. I feel really fortunate. Basically, it’s a tough business, and everyone who’s succeeded does so with a combination of luck, resilience, and talent. But of those three, it seems the thing that’s most in one’s own control is resilience. Regardless of what happens, the only thing to do is to keep writing. 8. Do you have any advice for aspiring writers about their writing process or the publishing world? I think my advice for aspiring writers is, like I said above, to keep writing. Do it everyday. Get comfortable with descriptions and dialogue and summary and the various pieces that make up a novel. Get comfortable with your style. And just start trying to do it. As for the publishing world, I think my number one rule would be you get one first shot, so use it wisely. But if it doesn’t work out, keep trying. It’s a tough racket. There’s no easy way into it. Everyone I know faces rejection more than acceptance, but you write and do what you can and sometimes there are little victories. 9. Are you currently working on other projects? Would you care to tantalize my readers with a few hints? I have drafts of three other novels. In general, I don’t like to talk that much about what I’m working on. It takes me a long time. The books evolve along the way. But I can say that one is a “high school book,” one is historical and takes place in the west, and one is a small drama about my time in New Orleans. I would say a general theme in most of my books is good versus evil, though manifested in different ways. 10. Finally, What are you currently reading? And do you prefer fiction, non-fiction, or poetry and why? I just finished reading Henderson the Rain King. It’s a book I’ve read before and went back to. 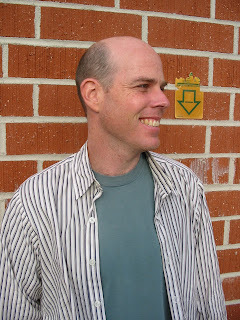 Bellow’s voice is so engaging that the reader would follow Henderson anywhere. A great book. I don’t know what I’ll read next. Maybe American Wife. Or maybe The White Tiger. Or maybe a long Russian novel called Life and Fate. In general, I definitely prefer fiction, though I like everything, particularly biographies and travel writing. I tend to read a lot on the subject I’m writing about, so I end up reading histories, scientific texts, whatever. Also, my wife writes poetry, so I read some of that, though I hardly have a wide knowledge of contemporary poetry. Basically, I like to read, and so I read a little bit of everything. I usually have seven or eight books along my bed. 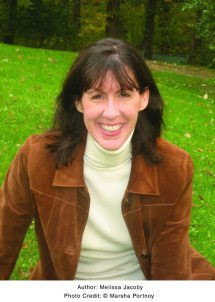 Shannon Burke was born in Wilmette, Illinois and went to college at the University of North Carolina-Chapel Hill. He has published two novels, Safelight and Black Flies, and has been involved in various films, including work on the screenplay for the film Syriana. From the mid to late nineties he worked as a paramedic in Harlem for the New York City Fire Department. He now lives in Knoxville, Tennessee with his wife Amy Billone and their two sons. Check out his website, here. Thank you, Shannon for taking the time to share with us these helpful insights. Good luck to you in your writing career. We look forward to your engaging novels yet to come. 1. Leave a comment on this post about what you liked most about the interview for one entry. 3. Either blog about this contest on your own site and return here to leave me the link or email the contest details to five friends and cc savvyverseandwit AT gmail DOT com for a third entry. Deadline is November 5, 2008 at Midnight EST and is open internationally.